The LEEM V system is highly compact and offers high scientific flexibility. The extra space around the main chamber, available thanks to the 90° sector field, allows flexible installation of evaporation or illumination sources. 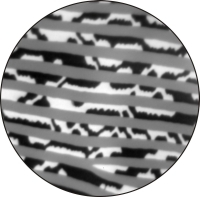 The direct real-time imaging of crystal surfaces enables dynamic studies of growth, decomposition, melting, phase transition processes and diffusion on surfaces. The system is simple to use and, with its advanced computer control, easy to align. This enables users to make the most out of their research time. The LEEM V can also be upgraded using several components to even expand its capabilities. 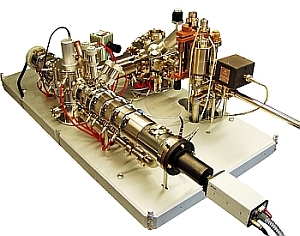 The thermionic LaB6 electron gun is the standard source. Alternatively, a Schottky field emitter can be installed. A spin-polarized electron gun can be used for fast magnetic domain imaging with high lateral resolution. The imaging kinetic energy analyzer can be added to resolve the kinetic energy of the photo-emitted electrons, e.g. with a He-plasma discharge light source (hv≈21 eV) or a focused laboratory X-ray source.